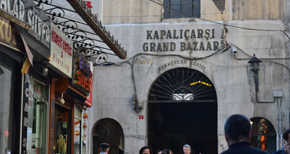 The Grand Bazaar is one of the oldest and greatest covered bazaars of the world. It is located in the neighborhood of “Kapalıçarşı” called as the same with the bazaar in the walled city between the Beyazıt and Nuruosmaniye Mosques. Grand Bazaar (Kapalıçarşı) is one of the most important places that you must see in Istanbul with its 11 gates, 64 roads and approximately 4000 shops in an area of 40 thousand square meters.